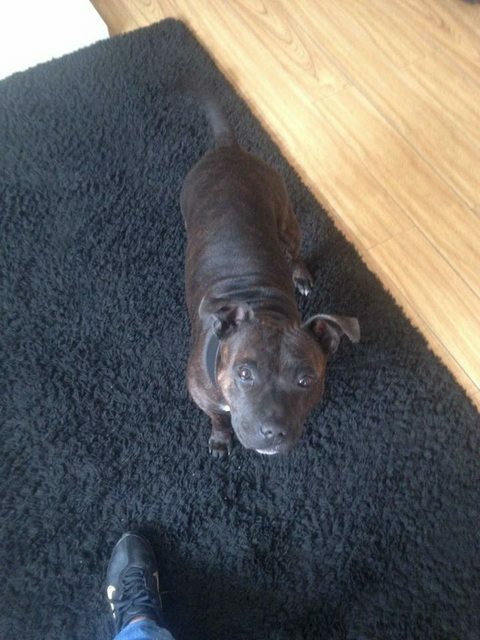 Belle is a 6 year old female Staffordshire Bull Terrier. Belle arrived at the dog pound with her daughter poppy, sadly their owner was sent to prison leaving them alone with no one to care for them. They were then left to serve 7 days before facing being put to sleep. 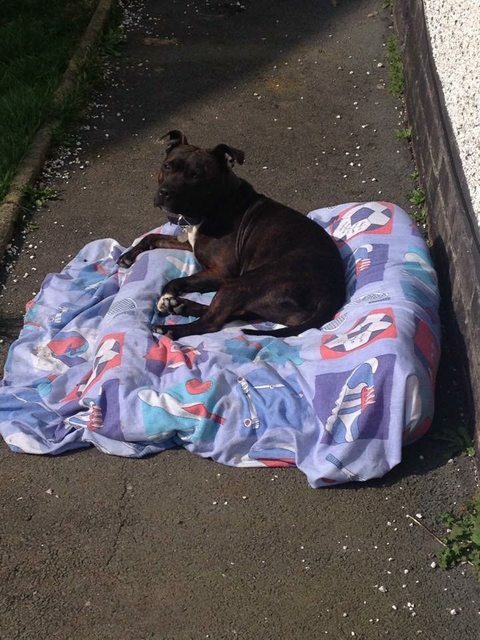 We were lucky to find a lovely foster home in Blackpool who was willing to take belle and Poppy and work with them. 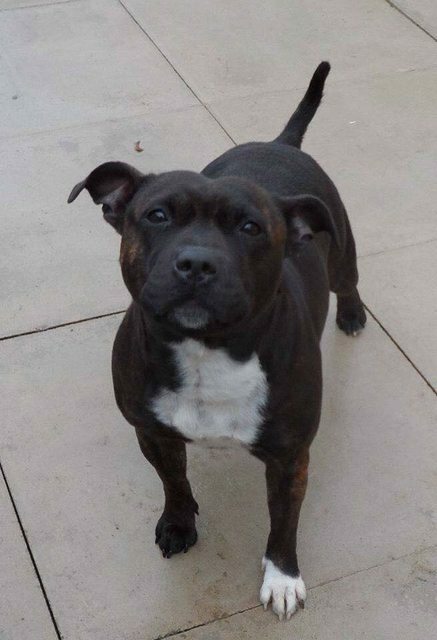 Belle is around 3 years old she would benefit a home that has experience of the breed and is able to continue training. When we first took belle on she saw the leash as a tug toy. We believe this is something that her previous owner may of done with her. She also didn’t know how to play when we first took her on, as time has gone on belle has come out of her shell.